Black / Fluorescent Green Yellow The DLX 38 combines refined styling and enhanced comfort with ..
Grey / Florescent Yellow GreenThe DLX 38 combines refined styling and enhanced comfort with premium ..
It’s time to push the limits of performance without compromise. Built on a revolutionary 3D chas..
Mustang Vest Airforc Auto Hammar Black ..
Mustang Airforce Pouch Blk/Carbon .. Excellent for fishing in warm weather, the Mustang Inflatable Fishing Vest is comfortable and light ..
Mustang Life Jacket Inflatable Auto Orng.. This easy to wear and easy to use inflatable PFD features Membrane Inflatable Technology™ inside .. 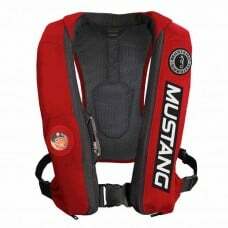 This easy to wear and easy to use inflatable PFD features Membrane Inflatable Technology™ inside..
Mustang Vest Airforc Auto Hammar Gry/Blk ..
Mustang Vest Airforc Auto Hammar Red/Blk ..
Mustang Vest Airforc Auto Hammar W/Harnes ..
Mustang Vest Inflate Auto Mit100 Bk/Fluor ..
Mustang Vest Inflate Auto Mit100 Bk/Red ..
Mustang Vest Inflate Auto Mit100 Solas ..
Mustang Vest Inflatable Manual Mit100 Black FlourescentApproval: TC Marine - TP 14475 - Inflatable P..
Mustang Vest Inflate Manual Mit100 Bk/Pk ..
Mustang Vest Inflatable Manual Mit100 Black Red ComboApproval: TC Marine - TP 14475 - Inflatable PFD..
Mustang Vest Inflat. 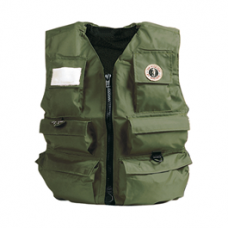 Olive Med ..
Mustang Vest Inflat. Olive Small .. The USCG Approved Deckvest LITE uses a water activated Halkey Roberts Alpha Auto Inflator that ..